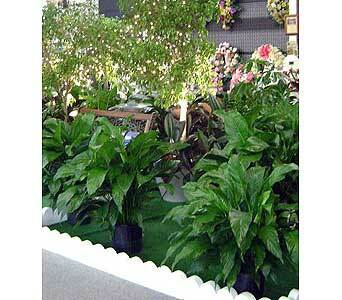 FINE & FANCY FLOWERS, INC. proudly serves the Gastonia area. 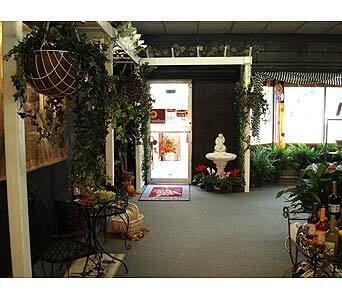 We are a LOCAL family-owned business that has been serving the Gaston County area for over 41 years. 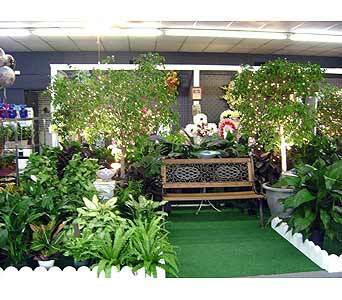 We are located in the historical Brookwood section of Gastonia and are committed to offering only the finest floral arrangements, roses, plants, fruit baskets, and NC Wines in the region, that are backed by service that is friendly and prompt. Because all of our customers are important, our professional staff is dedicated to making your experience a pleasant one. We always go the extra mile to make your floral gift perfect. Around the corner or around the world "WE DELIVER SMILES!!!" DELICIOUS NORTH CAROLINA WINES... Sample some of North Carolina's best wines from Baker Buffalo Creek, Childress, Dennis, Lake James Cellars, Raffaldini & Uwharrie Vineyards. We carry a large selection of wines from traditional muscadine, cabernet, merlot, riesling, port style, chardonnay....the list goes on and on! FRESH FLOWER WORKSHOPS... Are you looking for something fun & exciting for your special group to do? A Fresh Flower Workshop is the perfect answer! 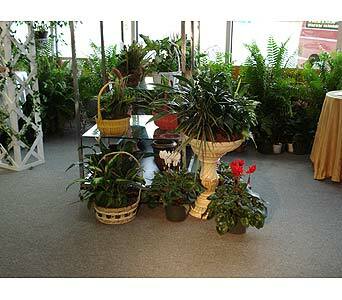 We provide the flowers & containers. You provide ladies wanting to get in touch with their creative side. Workshops can be conducted on Monday, Tuesday or Thursday evenings from 6-8PM. Call for more details or look us up on FACEBOOK to see actual pictures. 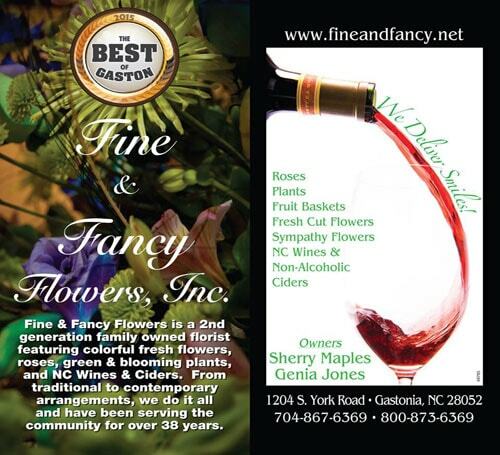 Let Fine And Fancy Flowers, Inc. be your first choice for beautiful fresh flowers and premium North Carolina Wines! 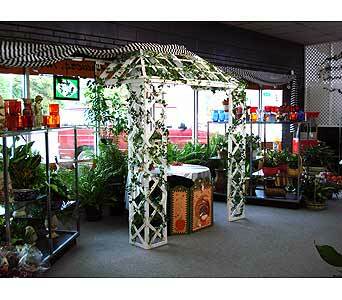 Our shop is open from 9:00 a.m. to 5:00 p.m., Monday through Friday and 9:00 a.m. to 1:00 p.m. on Saturday. We are proud to be the only business in the region that can deliver premium North Carolina wines along with our fresh flower arrangements, or in our fruit and gourmet baskets. If you have any questions or need more information, please call us directly at (800)873-6369. We're always here to serve you and make your flower-sending experience a pleasure. "Like" us on FACEBOOK!